Jack is heading up as soon as he gets stocked up on supplies. He heard they are escorting trucks through right now, even fuel trucks. That could change at any time though, and he could be stuck there, who knows. Last time he was there for 77 hours. Here is a photo from a few days ago taken by a friend in Prudhoe. (Thanks Joe) Yikes! Fairbanks is at about $3.24. 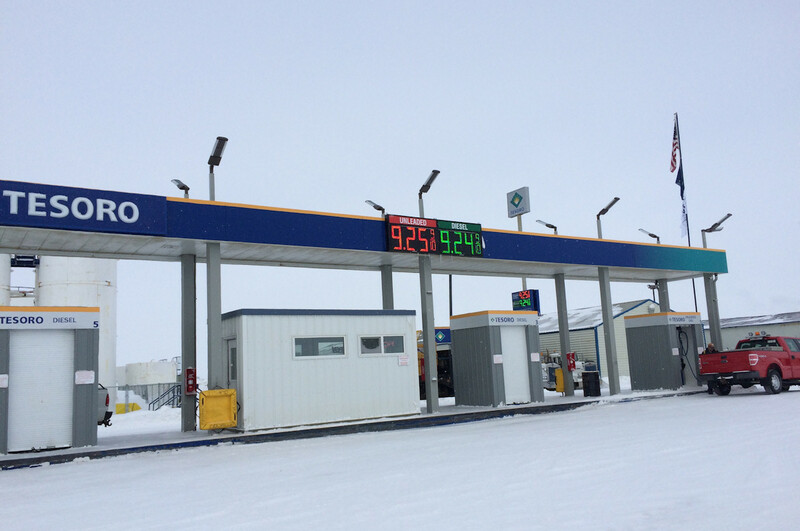 This entry was posted in Trucking and tagged alaska, dalton highway, flood, flooded highway, flooded road, gas prices, high fuel prices, high gas prices, price of fuel, price of gas, Prudhoe Bay, road closure.